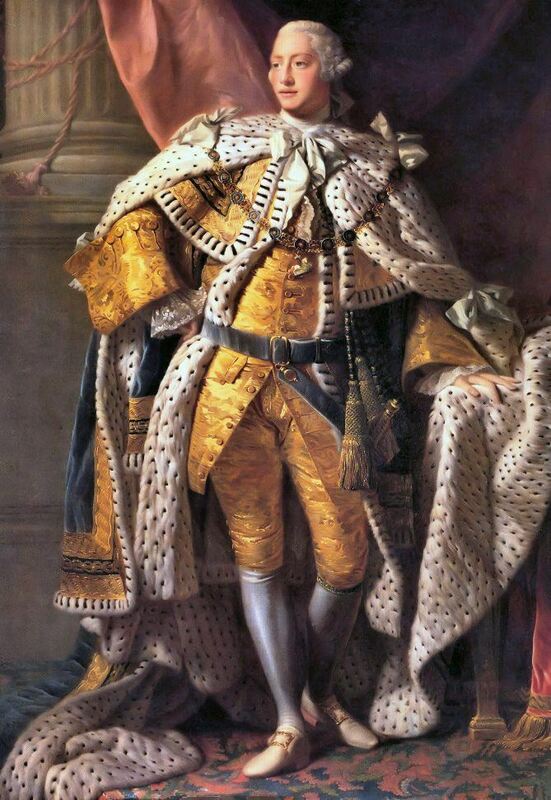 On this day in history, March 30, 1775, the New England Restraining Act is made law with the signature of King George III. The Act restricts the New England colonies from trading with any other country besides Great Britain or her colonies and prevents colonists from entering the North Atlantic fisheries. These measures were enacted as a punishment to the colonies for their ban on trade with Britain after the institution of the Coercive Acts and other resistance to Parliament. Colonial relations with Great Britain had been deteriorating gradually since the Stamp Act of 1765. The Tea Act of 1773 brought things to a head with a small tax placed on imported tea. Though the tax was small, the colonists were firm in their belief that Parliament did not have the right to tax them since they had no representation there. Instead, they believed the proper bodies to institute taxes on them were their own elected legislatures. 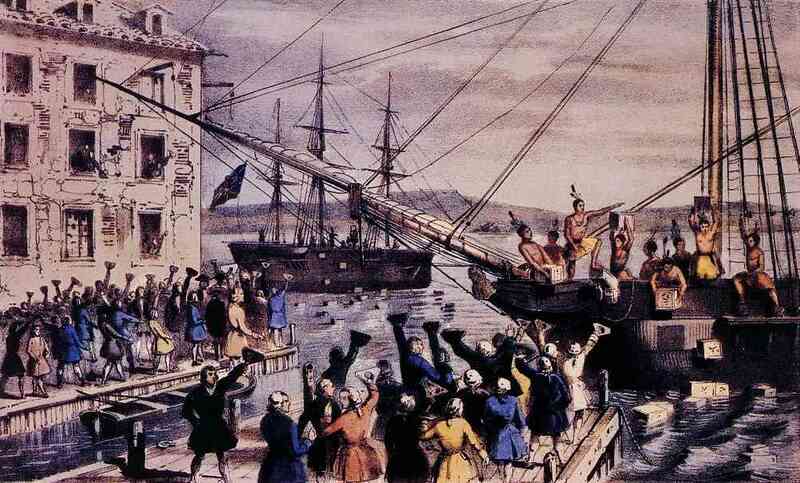 The citizens of Boston responded to the Tea Act by dumping 42 tons of imported tea into Boston Harbor in December, 1773, an act known as the Boston Tea Party. When news reached Parliament, it responded by passing the Coercive Acts, a series of acts to punish Boston which closed the harbor, shut down the Massachusetts government, moved trials of government officials out of the colony, required the housing of British troops on private property and extended the boundaries of French speaking, but British held, Quebec, which was viewed as a threat by the colonists. Even though the Coercive Acts were focused on Massachusetts, all of the colonies saw the Acts as a precedent that could be extended to their own colonies. They responded with mass promises not to import any more British goods until the Acts were repealed. Most of the colonies began actively recruiting and training their own armies to confront Britain if the need arose. Most of the colonies sent representatives to the First Continental Congress in Philadelphia to deal with the crisis as one. Parliament's response to all this preparation was to pass the New England Retraining Act, which was signed by the King on March 30, 1775. This Act forbade Massachusetts, New Hampshire, Rhode Island and Connecticut from trading with any other countries but Great Britain or her colonies. The idea was to strangle the colonists into a position of desperation so they would drop their opposition and consent to Parliament's demands. The Acts also forbade them from using the North Atlantic fisheries off Nova Scotia and Newfoundland, a heavy blow to the colonists, who were dependent on the food and income from the fisheries. The New England Restraining Act focused on the New England colonies because the rebellion was centered there. In April, however, Pennsylvania, New Jersey, Maryland, Virginia and South Carolina were added to the Act when it was learned that they were also participating in the boycotts and raising armies. The Act, tough as it was, was never really enforced and never amounted to much because the war broke out in Lexington on April 19th, causing Britain to escalate to the point of making war on her own people.